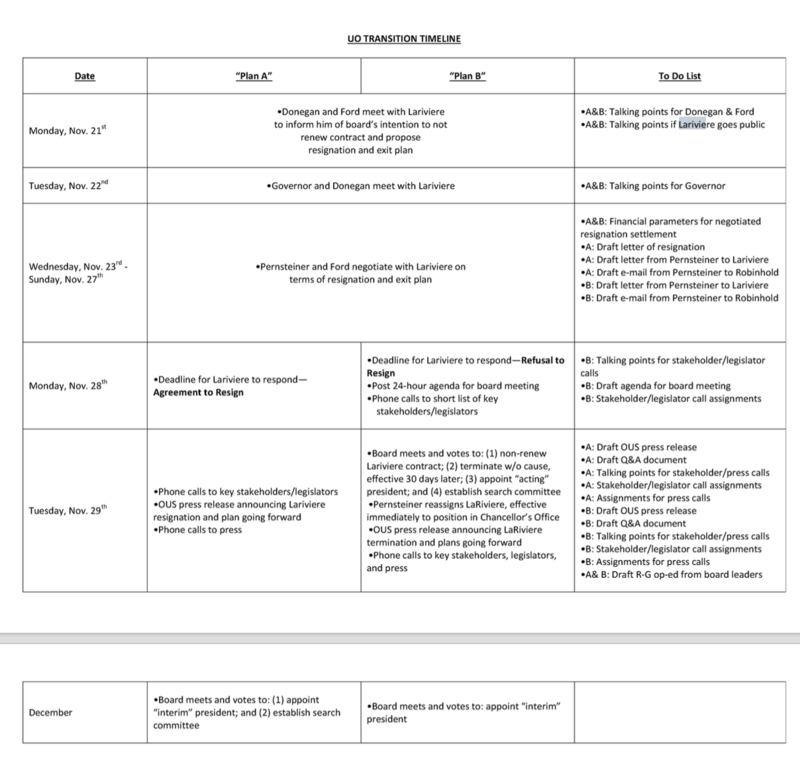 The short version: Richard Lariviere hired HLGR’s Sharon Rudnick to negotiate his contract renewal, and five months later he was out of a job. 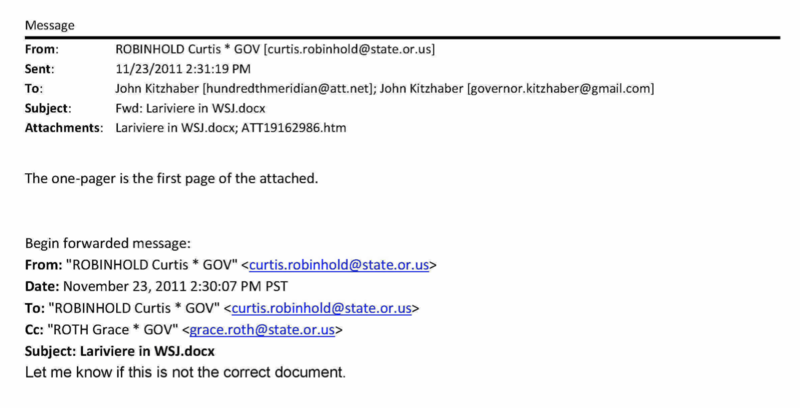 In response to a public records request from the Oregonian, Governor Kate Brown has begun releasing the emails from Kitzhaber’s gmail account. They’re up to mid 2012 so far. 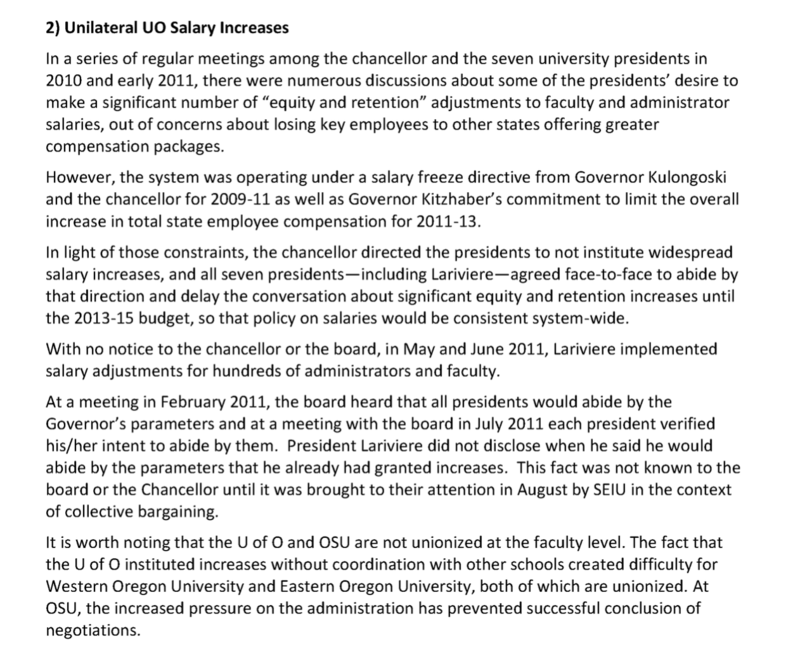 No charge, and none of the silly probably illegal redactions we’ve seen from UO’s Public Record’s Office. 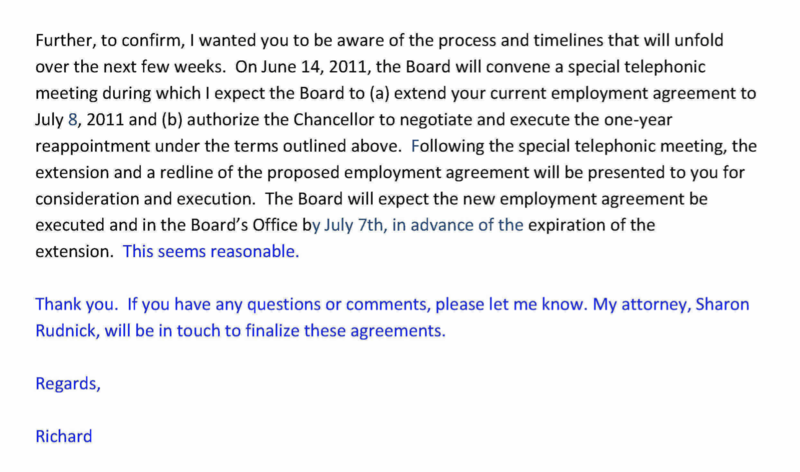 Here are some emails related to the Lariviere firing. Nothing surprising, except the fact that Kitzhaber tried to negotiate a way for all sides to save face. 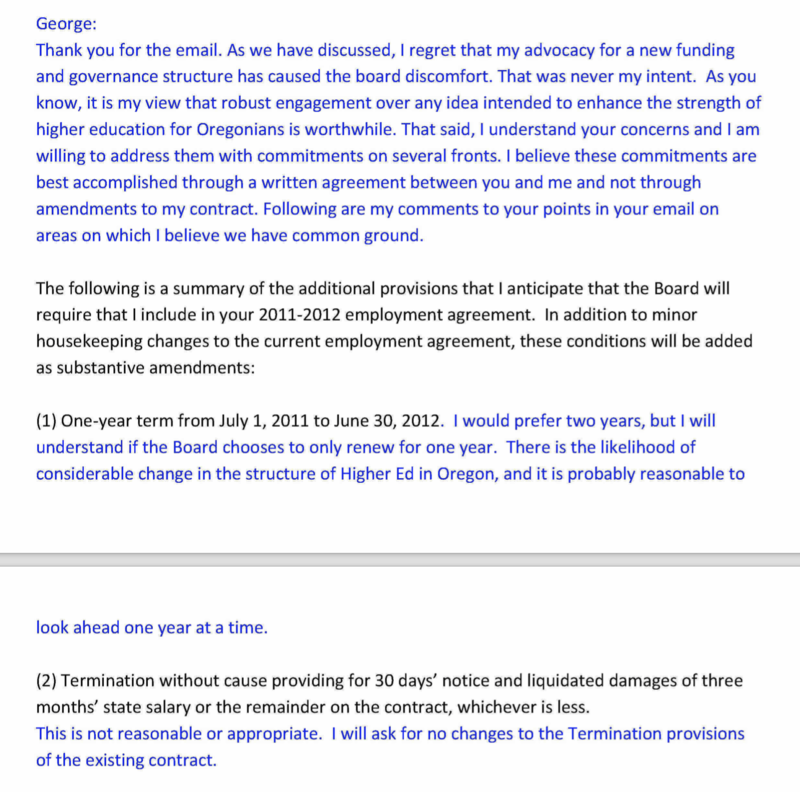 The emails clearly show that OUS chair Matt Donegan and the board made their decision in secret, in violation of Oregon’s Open Meetings Law. 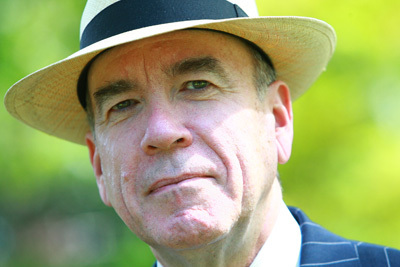 Not a surprise, even to Oregon Government Ethics Board Director Ron Bersin, who rejected the complaint filed by myself and many other faculty, because Ron Bersin is a complete tool. 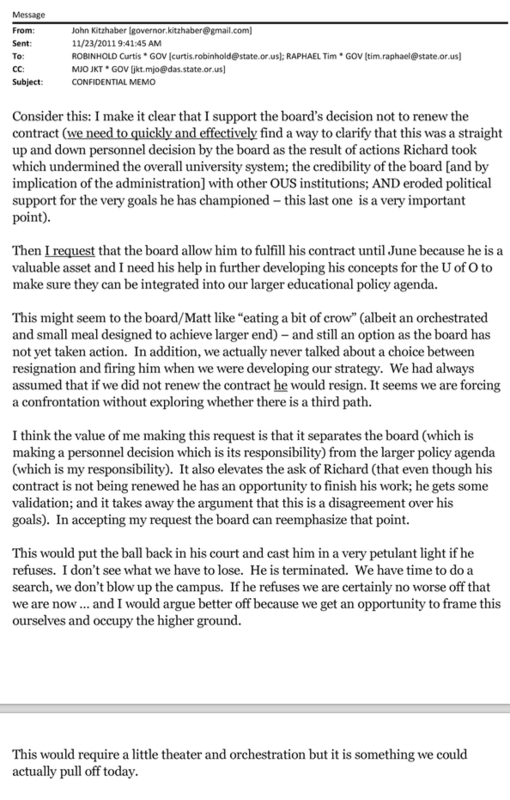 You do have to wonder what Chuck Triplett, at the time OUS Board Secretary and now UO AVP for Collaboration, hired in violation of UO’s affirmative action rules, told Bersin. 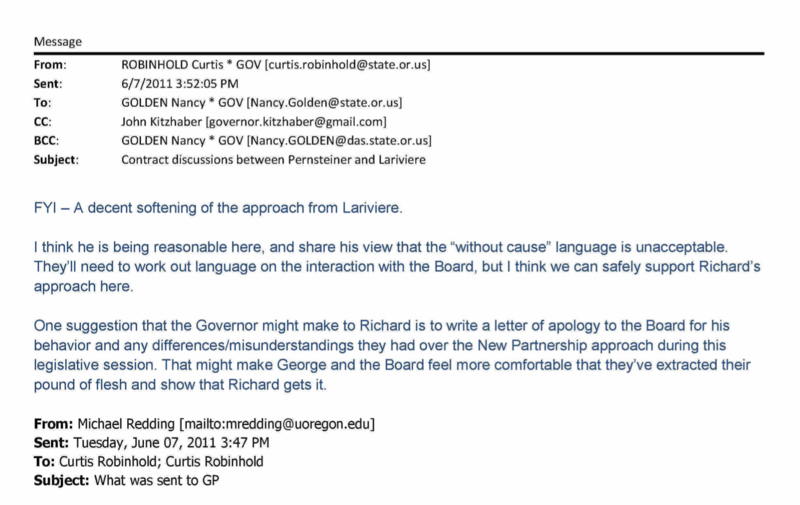 Maybe that’s in the OUS emails, which are now at the Oregon State Archives under review. 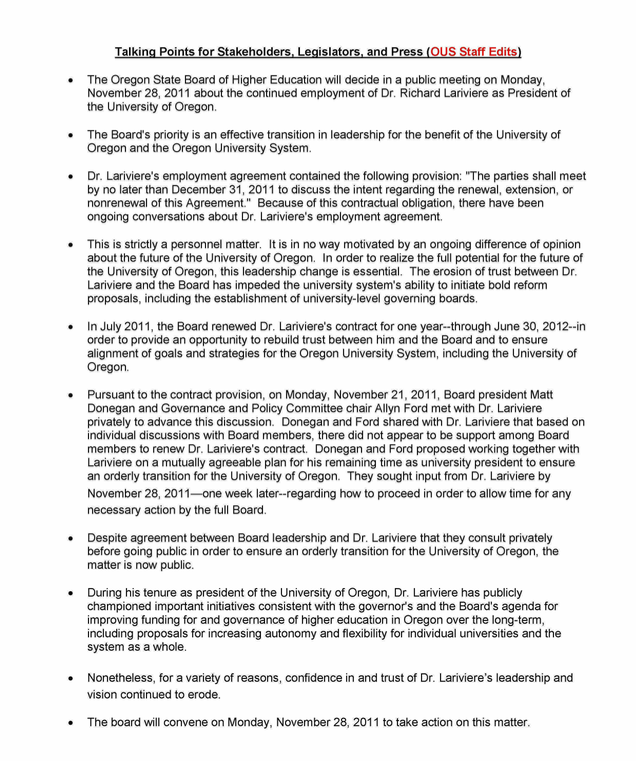 A week later the UO faculty, alumni, boosters, and even a few JH administrators united in protest, hired buses, and went to the board meeting in Portland to protest, with no effect. Tagged Charles Triplett, HLGR, Lariviere Firing, Ron Bersin, Sharon Rudnick. Bookmark the permalink. Good work digging these documents up. We need to remember these shenanigans can happen at anytime — the Board can easily pull something similar if they find one minute reason to dislike Schill. I’m pretty sure he’s got a better lawyer than Lariviere did. Thank you for your tireless efforts to shine light on the murky cesspool of OUS administration.